Libro.fm is an independent audiobook company that makes it possible for bookstores to sell digital audiobooks. • a catalog of over 100,000 audiobooks, including New York Times bestsellers. • Audiobooks can be purchased individually or through a monthly membership program. 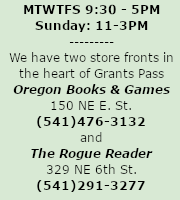 All Hardback Fiction Books will be 20% Off, Effective NOW! Sale Prices on line are what you will pay when picking-up. 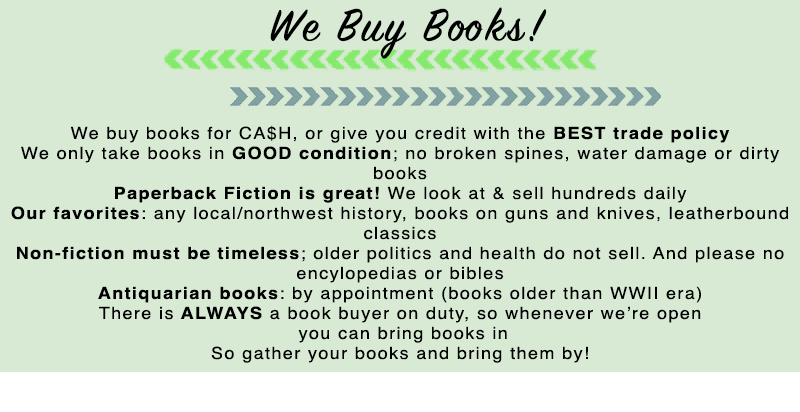 Sell us your books for CASH! Cash paid based on 50% of the trade value calculated above. Corner of 7th and E St.